Price’s Alarms Awarded Canada’s Dealer of the Year! 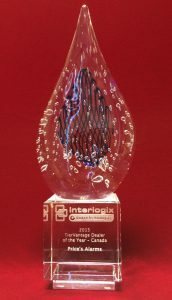 For the third consecutive time, Price’s Alarms has been awarded the Interlogix Dealer of the Year Award for Canada. The award was announced in February of 2016 at the Interlogix Dealer Summit in Carlsbad California. 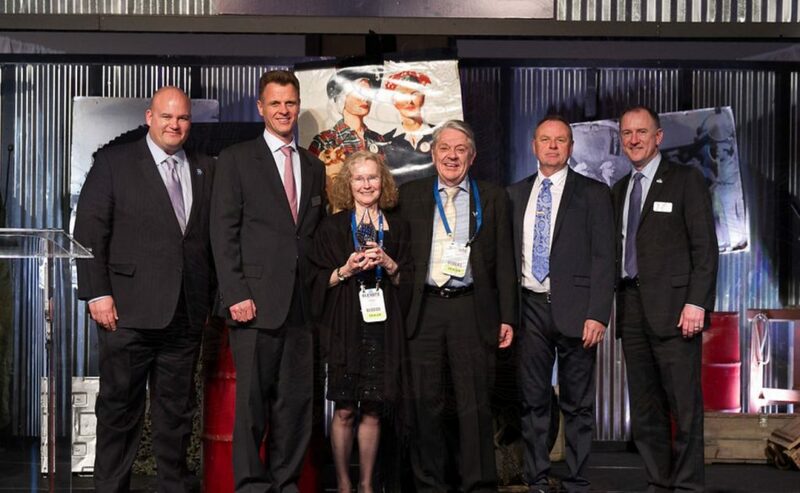 This year, Bob and Peggy Price received the award in person at the annual event where the best security companies throughout Canada and the US come together to discuss the latest in the security industry. The three day conference ended with the presentation of the award but the actual trophy was just delivered to us by Canadian Interlogix Executives. We are proud to be named Dealer of the Year again and look forward to serving customers for many years to come with the peace-of-mind security we’ve been recognized to deliver.